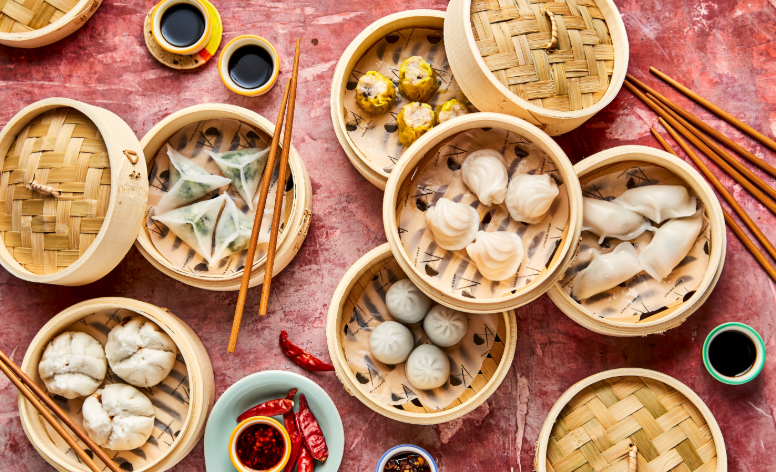 10 February, Dubai, UAE: Dubai’s largest Asian food market – Asian District at The Pointe, Palm Jumeirah, is now open, bringing a new immersive, visually stimulating dining experience to Dubai. Asian District is a distinctive playground for foodies, with eight restaurants all with distinct traditional Asian themes and flavours. The newly launched interactive market place promises to take guests of all ages on a sensory journey with the smells, sights, sounds and tastes of Asia’s late night markets. Spread across 2,000 square-metres, the split level restaurant offers a plethora of Asian food in one expansive social setting with seating for up to 600 guests. An upscale food market with affordable yet refined dishes, Asian District evokes the essence of the hustle and bustle of the world famous Asian Markets. The open-plan, live cooking stations recreate the street flavours China, Bangkok, Hong Kong, Taiwan, Singapore, Malaysia and Vietnam. Guests can expect delicacies such as sushi, noodles, ramen, teppanyaki, dim sum and dumplings, all freshly-prepared from the impressive line-up of built-in market stalls which include Dumpling Mews, Pad Thai Boulevard, Ramen Route, Pho Lane, Kimchi Ville and Bao Lake. And it’s not the food that will captivate guests: an array of background sounds such as local livestock, motorbikes, car horns and bicycle bells will transport them further to the wonders of Asia. Live performers and entertainment will also appear at random locations, leaving guests wondering if the acts are genuine diners or authentic story tellers.